Home » Academics » Schools » College of Arts, Humanities and Social Sciences » Faculty » Matthew Mireles, D.M.A. Matthew Mireles is the Director of Bands at St. Mary’s University, serving as conductor of the Wind Ensemble, and professor of conducting, music education and euphonium. Under his direction, the St. Mary’s University Wind Ensemble performs a yearly season of concerts around the cityand regularly commissions and premieres new works for band. Mireles also works with the top-conducting students as part of the University’s “Apprentice Conductor” program. In addition to his responsibilities at St. Mary’s University, Mireles is the Musical Director and Conductor of the San Antonio Brass Band. The ensemble reached international acclaim as winners of the 2018 North American Brass Band Association 1st Section Championship, achieving the highest score of any ensemble in North America. The ensemble performs throughout South Texas, while also providing masterclasses for high school and middle school band students. Members of the ensemble include performers with the San Antonio Symphony, the United States Air Force Band of the West, the 323rd Army Band, professors from Texas State University, St. Mary’s University, Trinity University, University of the Incarnate Word, University of Texas at San Antonio, San Antonio College and top music educators from the area. Mireles is also conductor of the famous Backburner! Tuba-Euphonium Ensemble. The group is comprised of some of the finest low brass performers in the world and regularly performs at international brass conferences. As a euphonium soloist, Mireles was the winner of the 2008 Leonard Falcone International Euphonium Competition, the most prestigious euphonium competition in the world. Mireles also released a solo album titled “Prometheus,” on the Potenza Music record label, which includes previously unrecorded works for euphonium with strings, wind ensemble and piano. 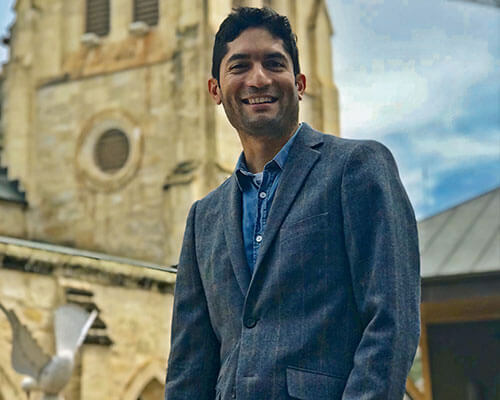 Mireles was also the winner of the 2007 Mid-Texas Symphony Young Artist Competition, the 2007 University of Alabama Concerto-Aria Competition and the 2008 International Tuba Euphonium Conference (ITEA) Chamber Music Competition. Mireles has given solo recitals at the United States Army Band Tuba Euphonium Workshop, the International Tuba Euphonium Conference, the National Band Director Association convention, the South East Regional Tuba Euphonium Conference, the Mid-West Regional Tuba Euphonium Tuba Euphonium Conference, the South Central Regional Tuba Euphonium Conference and at numerous universities around the country. Also an active chamber musician, Mireles plays euphonium with the internationally renowned Boreas Quartet. Their album, “The Serpent’s Kiss,” was the winner of the 2016 ITEA Roger Bobo Award for Recording Excellence, the highest award internationally for low brass. Their second recording, “Whirlwind,” is scheduled for release in 2019. Mireles is also on the Executive Board of Directors for the Youth Orchestra of San Antonio (YOSA), President of the Andy Mireles Charitable Foundation, Director of the St. Mary’s University Summer Band Camp, Associate Director of the Fiesta Jazz Festival, Grants Reviewer for the Texas Commission of the Arts, New Materials Reviewer for the International Tuba Euphonium Association and a previous member of the Arts and Humanities Council of Lawton, OK. Mireles also holds memberships with the College Band Directors National Association, World Association for Symphonic Bands and Ensembles, College Music Society, Kappa Kappa Psi, Oklahoma Music Educators Association, International Tuba Euphonium Association, Texas Bandmasters Association, and Texas Music Educators Association. Prior to moving back home to San Antonio, Mireles was the Joye R. Lenz Endowed Professor and Director of Bands and Low Brass at Cameron University in Lawton, Oklahoma and also the Conductor of the Frontier Brass Band. Mireles also held positions as conductor of both the University Band and Tuba-Euphonium Ensemble at the University of Wisconsin-Madison while also teaching undergraduate euphonium. Mireles is in high demand all over the world as a conductor, clinician, performer, teacher, adjudicator, public speaker and advisor. He earned a Doctor of Musical Arts degree from the University of Wisconsin-Madison, a Master of Music degree from the University of Alabama and a Bachelor of Arts degree with Teacher Certification from St. Mary’s University. His major teachers have been John Stevens, Demondrae Thurman, D.M.A., Lee Hipp, Scott Teeple and Mark Hetzler.